The new floods and mudslides over the past three days followed a series of other storms, and officials said a total of 62 people have died and 12,000 homes have been destroyed so far this year. Authorities said they expected the intense rains - caused by the warming of surface waters in the eastern Pacific Ocean - to continue for another two weeks. 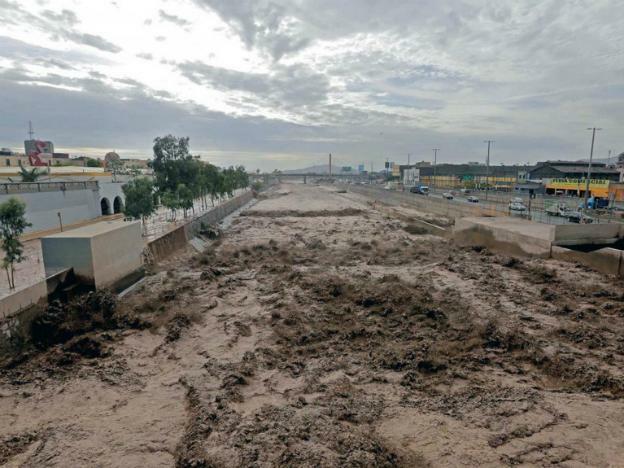 Schools nationwide are suspending classes and in Lima the swelling Huaycoloro river swept away two trucks and threatens to destroy a bridge. President Pedro Pablo Kuczynski said late on Wednesday that authorities were prepared to provide shelter and relief to those left homeless. So far 2017, has been a bad year for Peru, weather-wise. Landslides and heavy rains have occurred all over the country, leaving behind many victims. Over the past few days, heavy rains have hit Peru’s northern area of Lambayeque, causing floods and human losses. Fortunately, a brave group of Peruvian army members are now flying over the damaged areas to help citizens. The Army’s intervention was seen when a soldier rescued minors that were trapped by floods at La Leche River. Over 210 citizens were also rescued and were taken to safety. 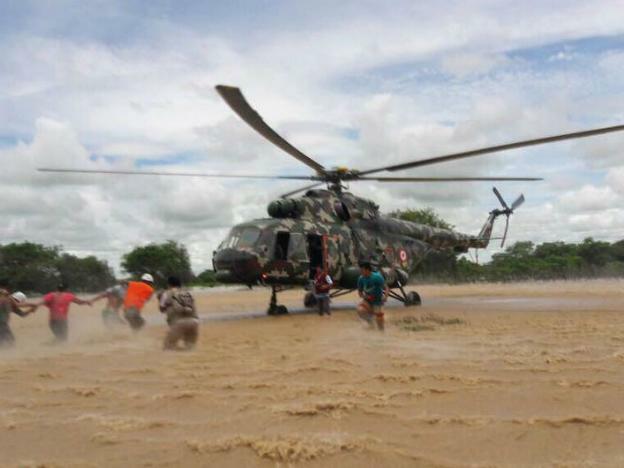 Jorge Nieto, the Peruvian Defense Minister, reports to Andina that Armed Forces and National Police will remain in the area to rescue people, who might have been isolated by the weather event. Due to an increase in the incidence of natural disasters in Peru, it is a good option to have the Armed Forces playing a larger role in this crisis situation. Heavy rain and floods have caused devastating problems in many areas of the country, especially in the northern parts of Peru. Stunned residents watched and filmed on mobile phone cameras as Evangelina Chamorro escaped after being swept into an avalanche of mud, wood debris and farm animals, about 53 kilometres south of downtown Lima. Ms Chamorro, 32, had just dropped her two daughters at school and was feeding her pigs alongside her husband when they were pulled into a landslide. Armando Rivera, Ms Chamorro's husband, told RPP radio they climbed a tree but the trunk broke. They held on to each other's hands but Ms Chamorro eventually lost her grip and got separated. She emerged near a bridge, lifting herself from a current of wooden planks and walking toward the shore covered head to toe in mud. "There's a person there!" 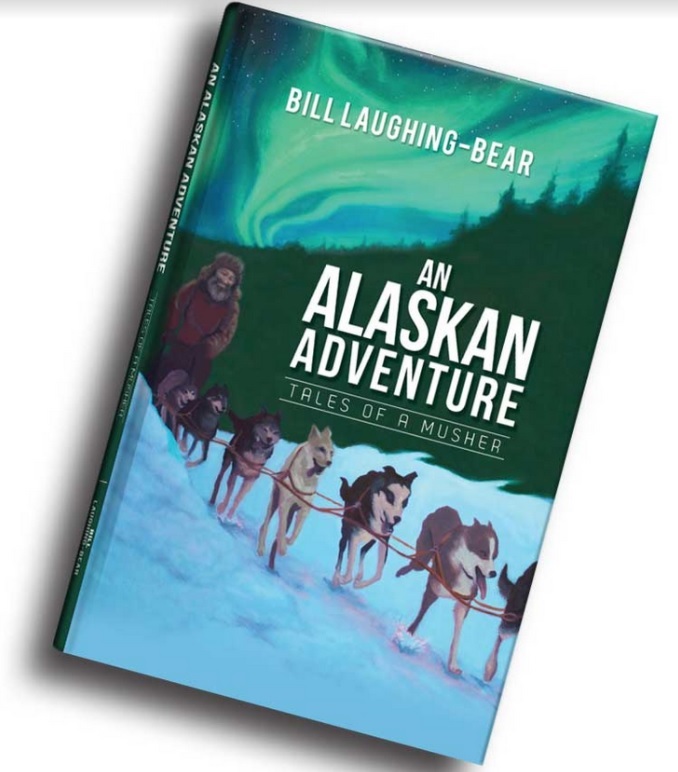 an onlooker cried out. Ms Chamorro collapsed as she reached land and was quickly carried by several men to an ambulance. She sustained only minor injuries.